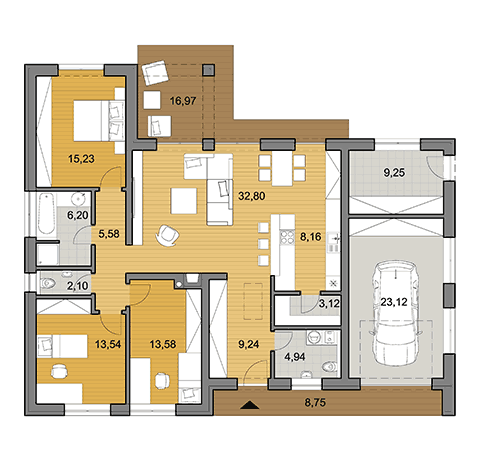 Choose a house plan by its floor plan. 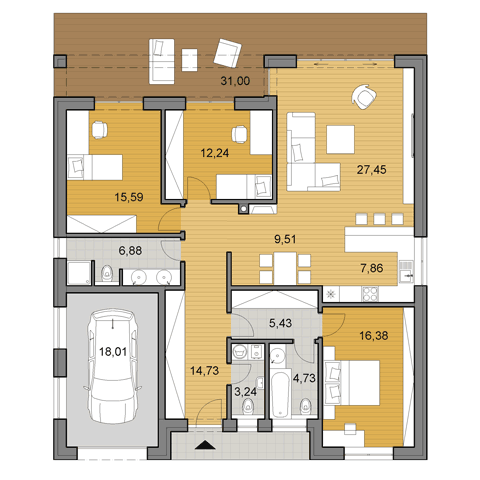 To quickly find a suitable home use filter buttons to display desired floor plans. 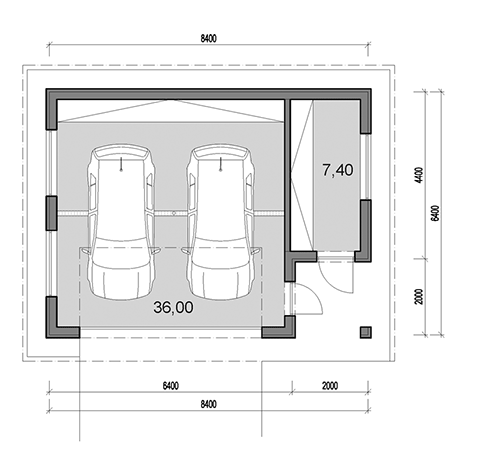 You can get a quick idea of size and shape of a house already from its name - letter in the name of a house represents its basic floor plan shape I, L or O, number in its title represents the approximate area of all rooms in the house. 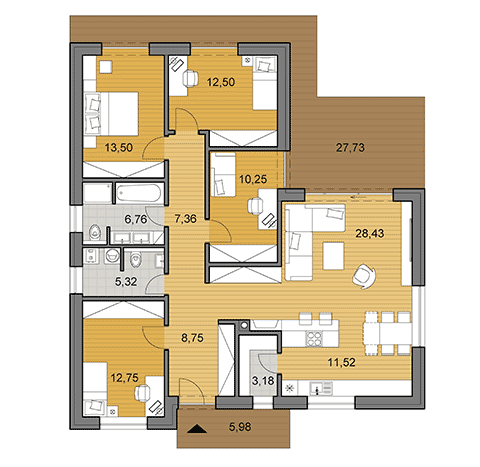 When there is the number "2 -" before the number code, it means that it is a two-storey house. 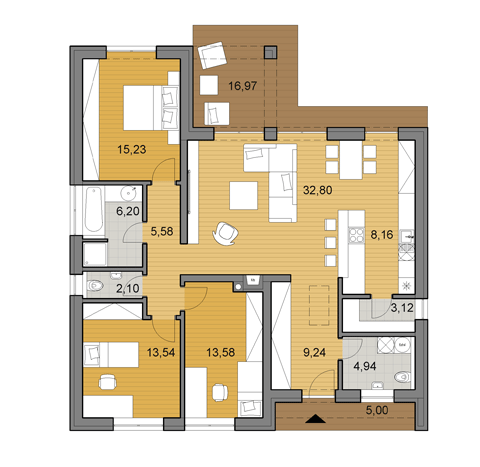 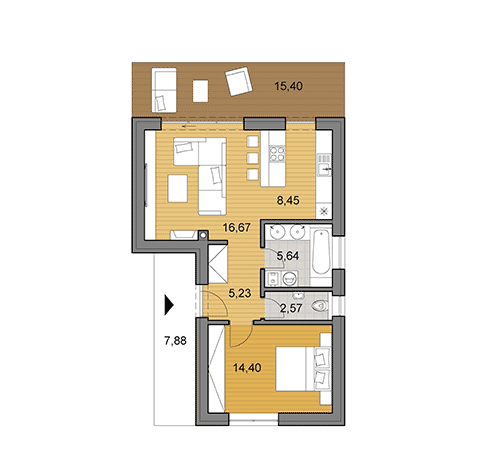 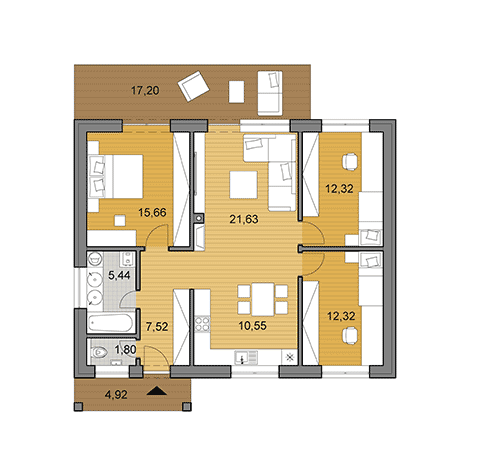 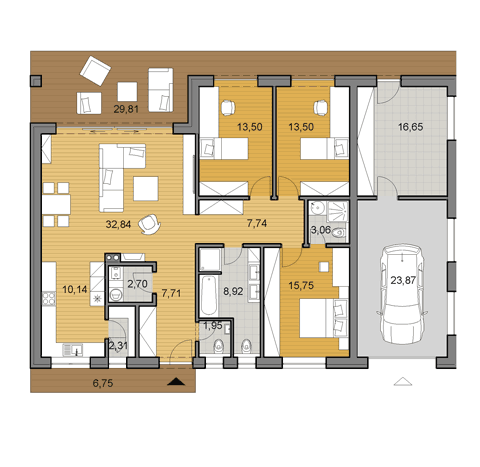 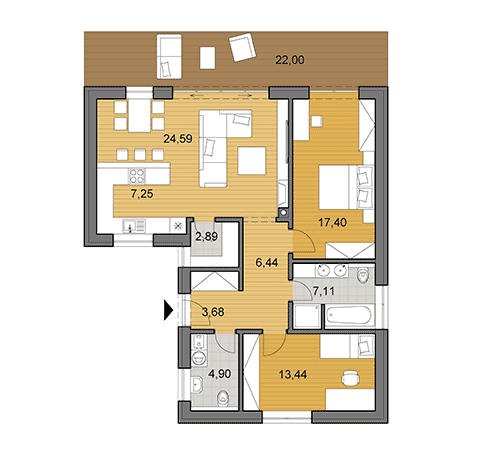 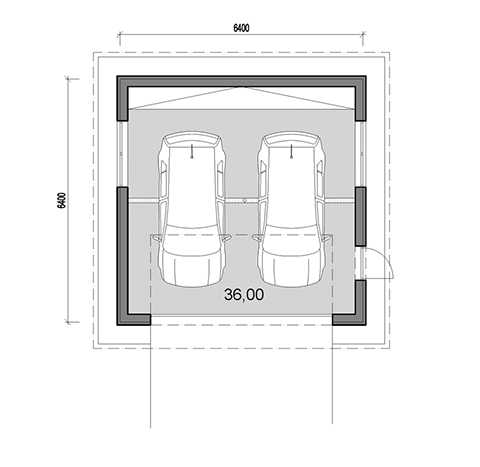 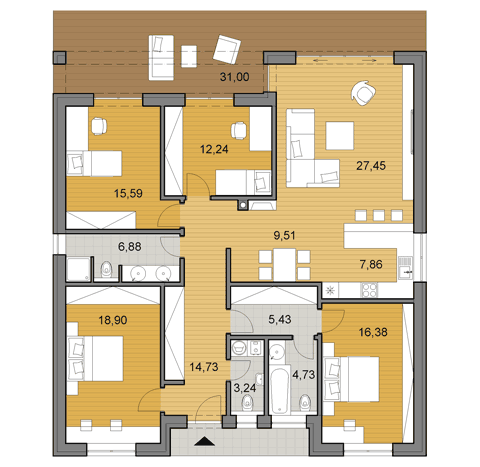 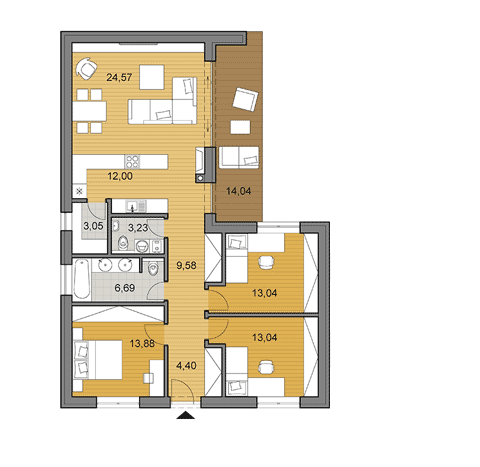 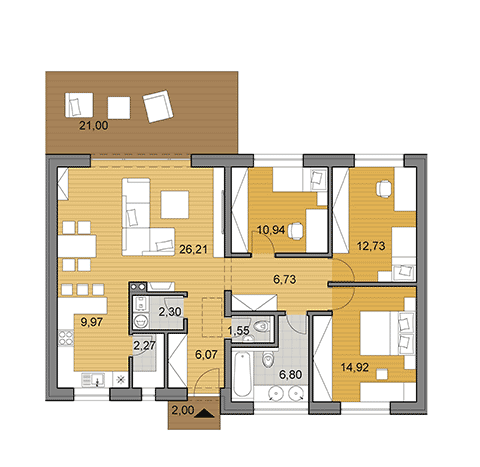 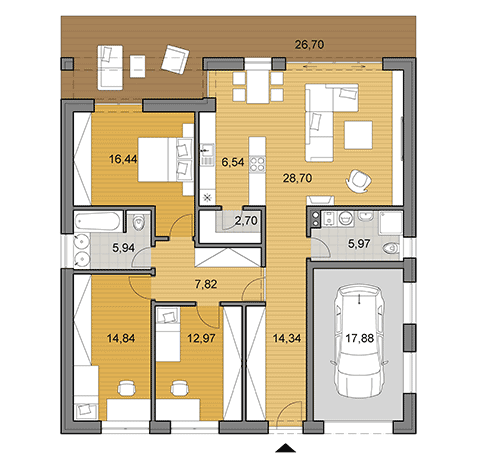 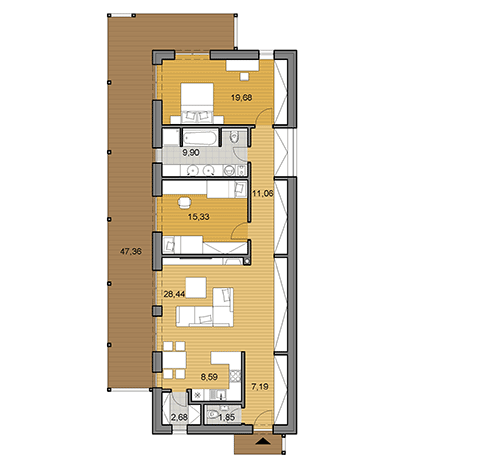 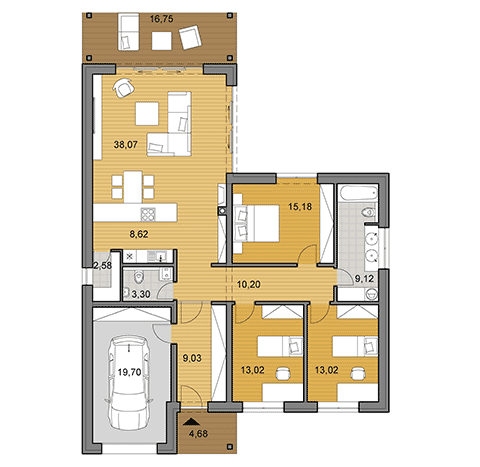 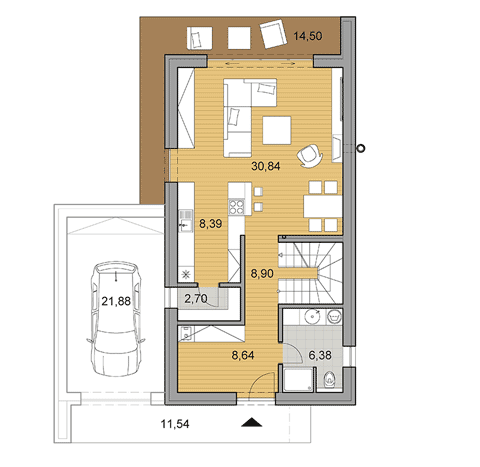 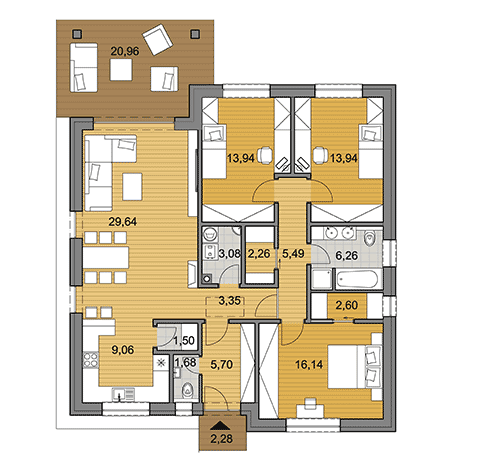 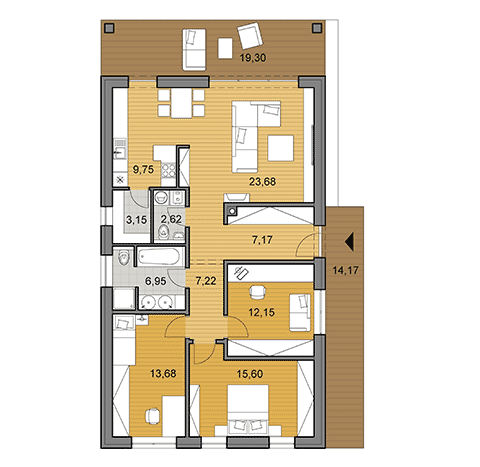 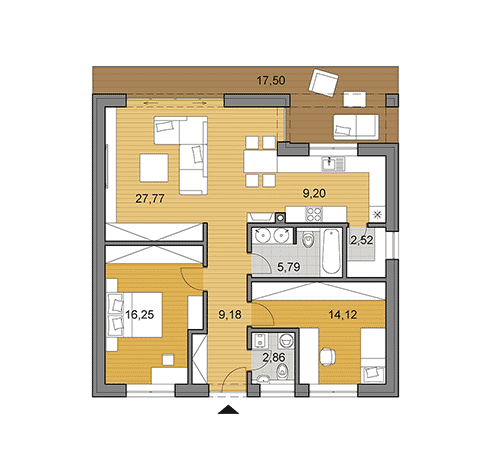 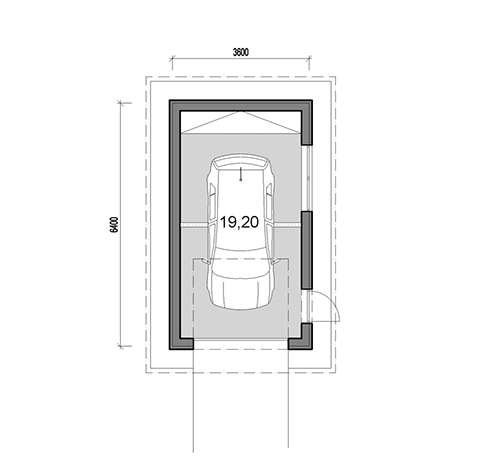 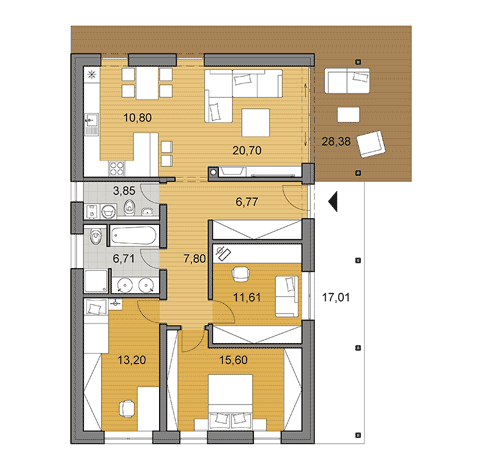 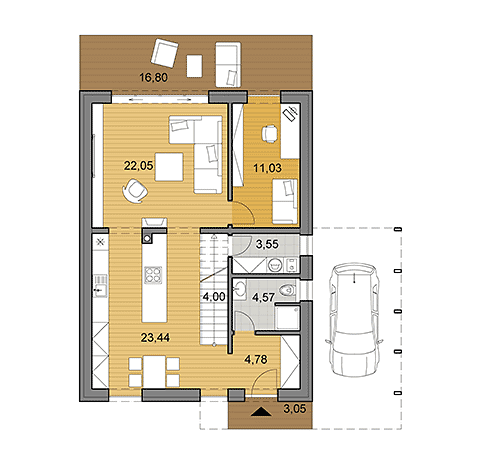 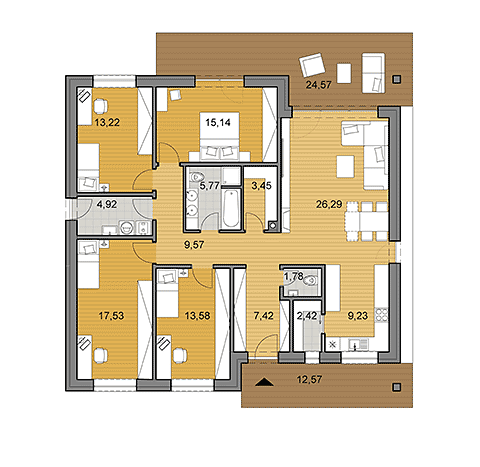 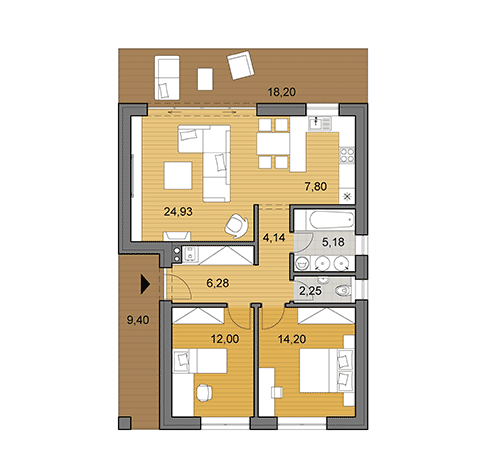 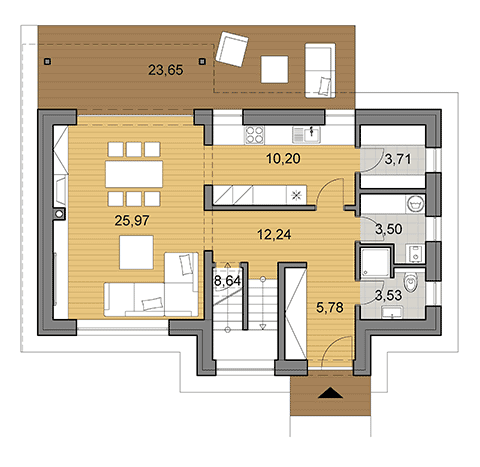 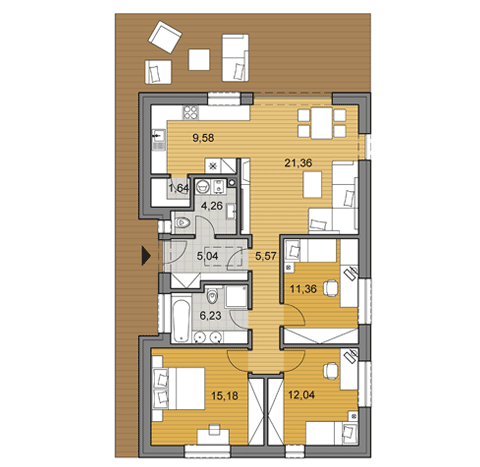 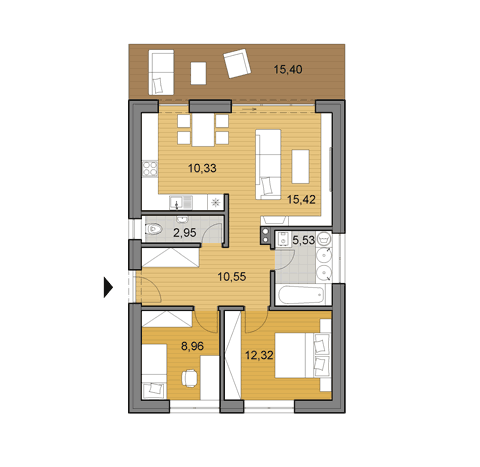 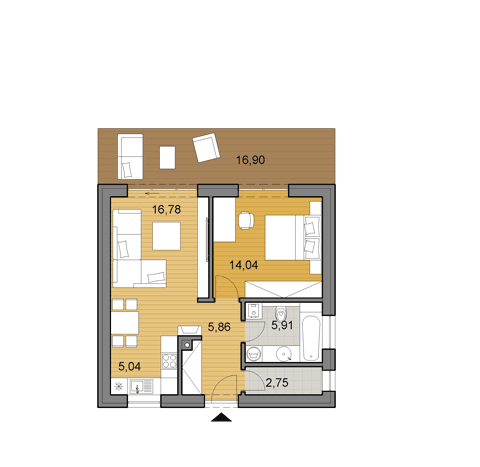 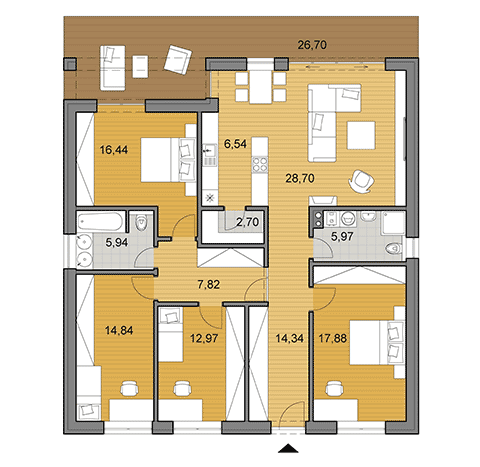 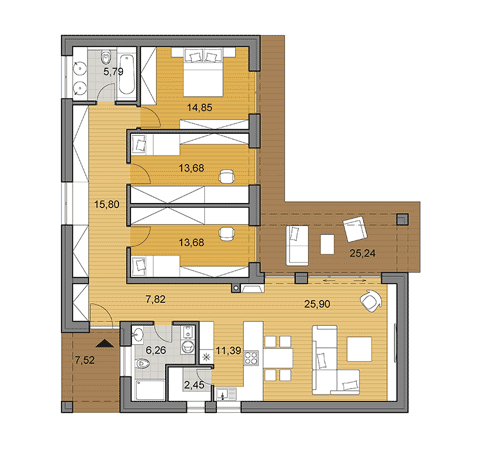 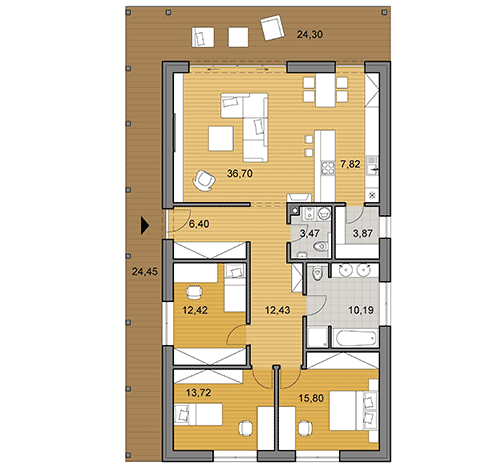 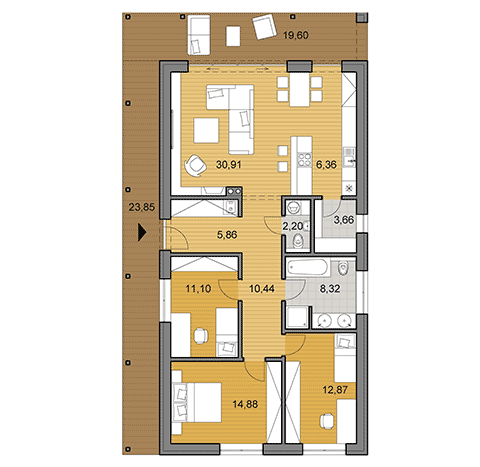 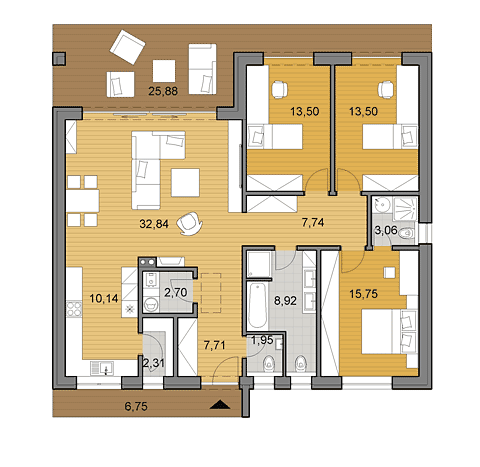 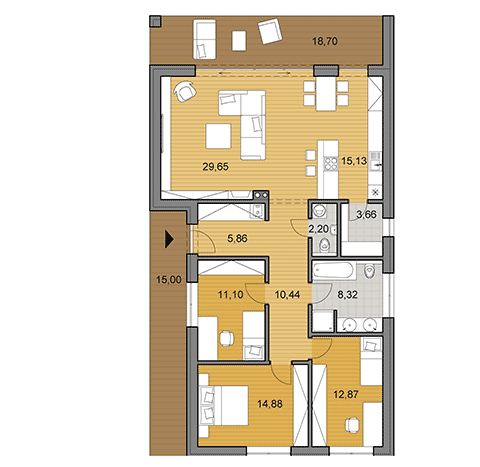 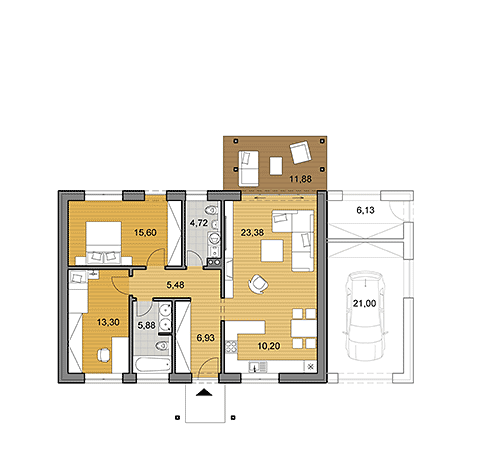 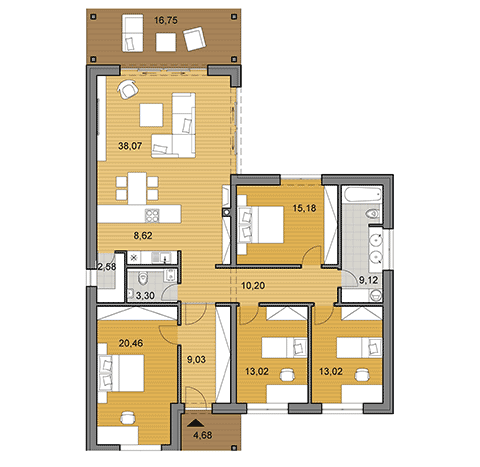 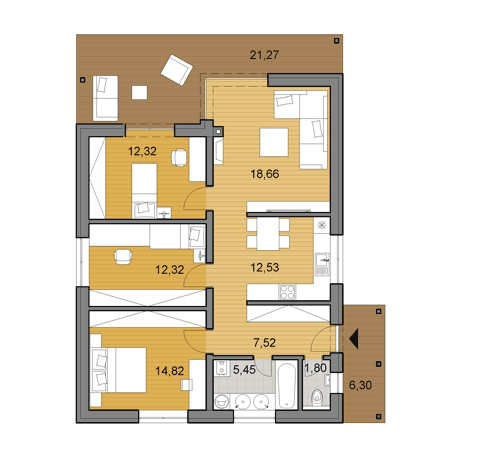 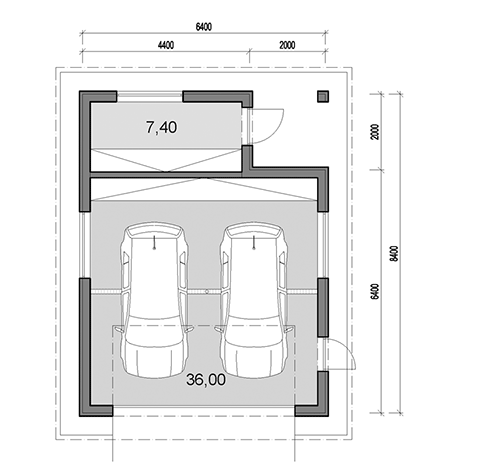 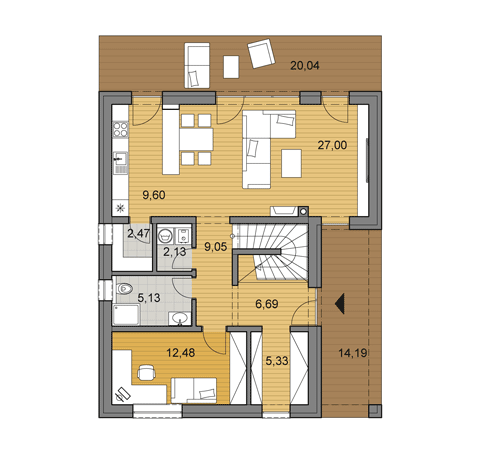 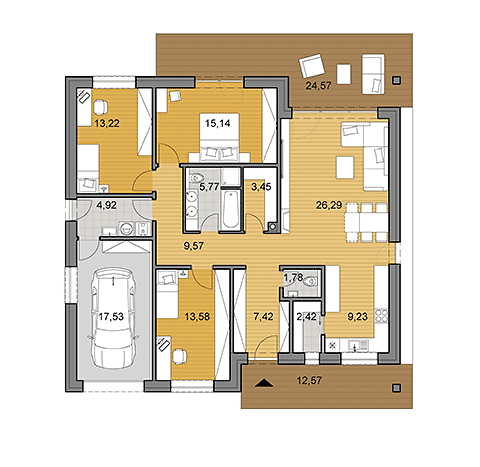 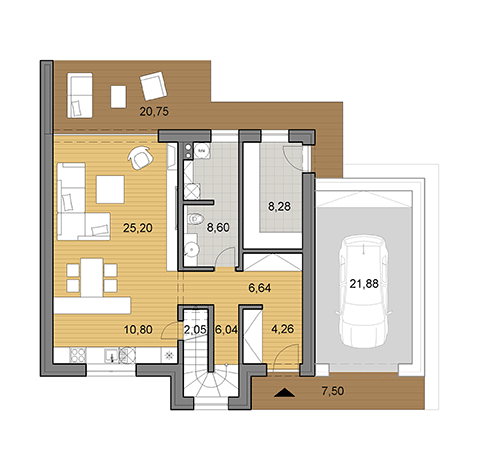 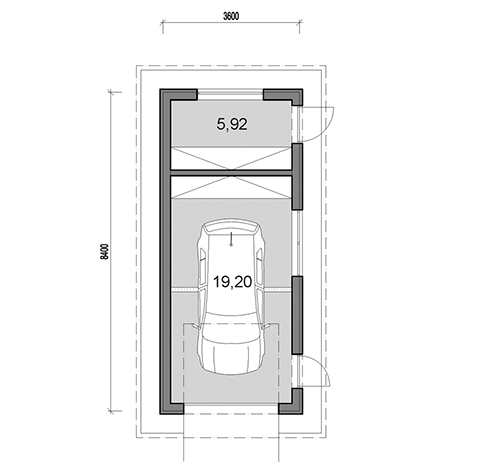 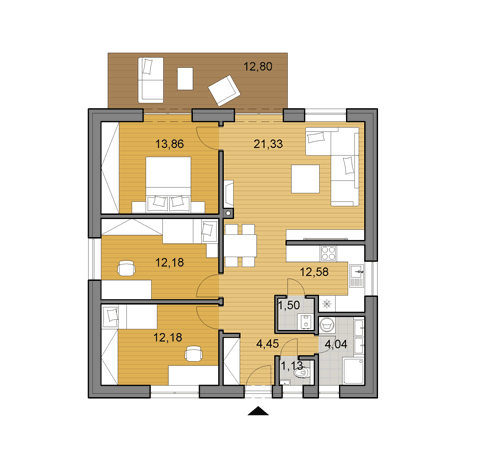 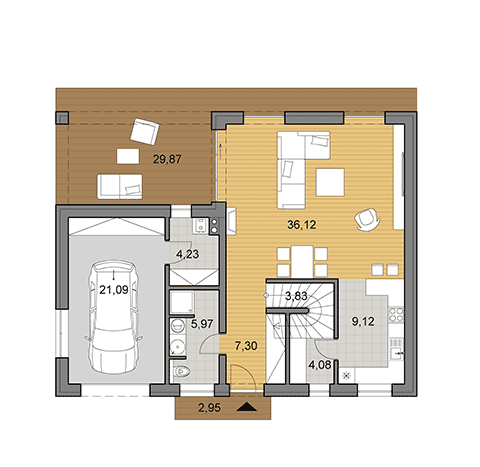 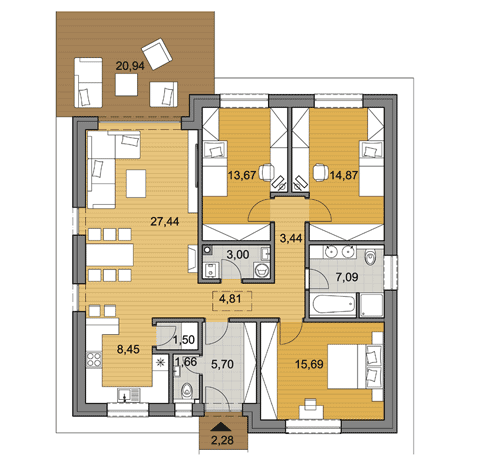 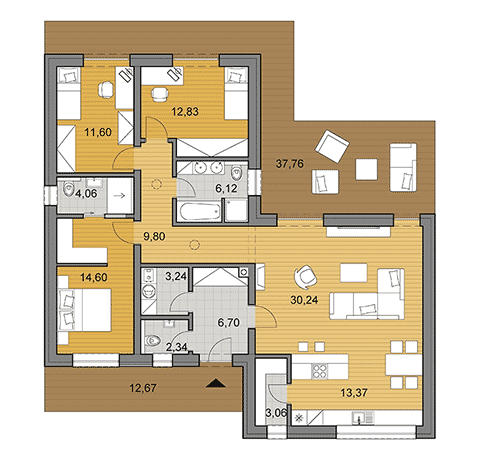 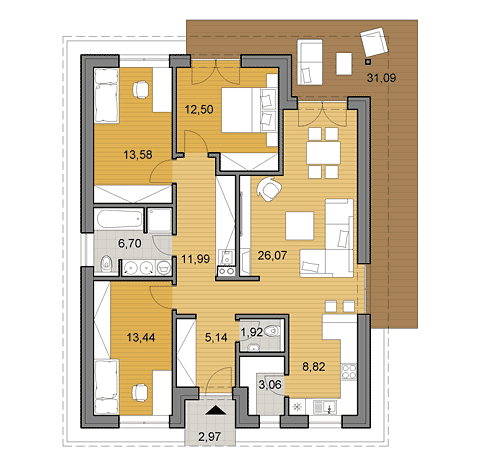 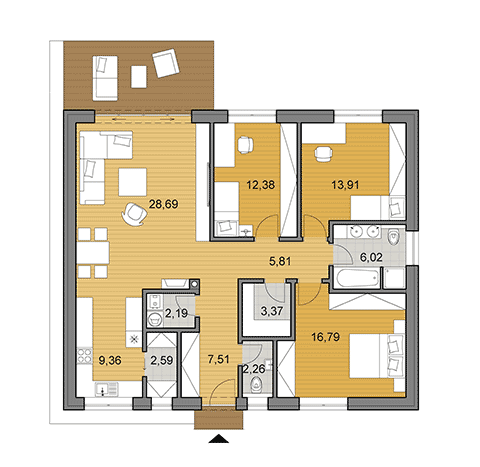 Mirroring version of the floor plan can be viewed on page of a specific house.